If you’re looking for a new bike, cycling spares and accessories or bicycle repairs and maintenance service, U-Pedal Cycles can cater to all your needs. 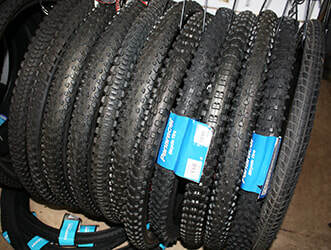 ​Our well-stocked store in Whyalla boasts a vast range of bicycles and accessories suitable for the complete novice, the seasoned professional, kids and for those looking to enjoy keeping fit in the great outdoors. With our quality repair and maintenance service, we will ensure that your bicycle stays in great condition for many years to come. ​If you’re not sure what size bike you require, we offer a comprehensive in-store fitting service. We’ll take various measurements and help you select a bike which ensures comfort, efficiency, injury prevention and optimal performance. Here at U-Pedal Cycles, we are always striving to go that extra mile to deliver the best service possible, and that’s why we offer a fantastic bicycle assembly service. Our team of experienced bike mechanics can repair the most complex of problems on all makes and models of bicycles. 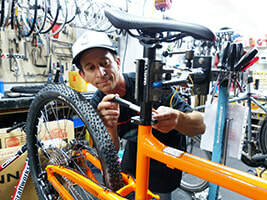 ​We will inspect your bike to see what work needs to be carried out and advise you on the estimated cost. We offer a comprehensive in-store fitting service to select the right sized bicylce. Whether you ride your bike on or off road, it’s important to maintain your bike to keep it in optimum condition and to lower the chance of component failure when you’re out and about. ​We provide a comprehensive maintenance service at our store in Whyalla where we check every aspect of your bike and advise you on any adjustments. Common things we check include brakes, gears, wheels, chains and bearings. We also check for wear and tear and adjust, tighten up, align and lubricate working parts as necessary.